Chris Hemsworth looks to be done with The Avengers 4, which means his time is up as Thor for Marvel Studios and the MCU films. In-between filming on the new Sony Men In Black 4 movie (check out pics here), Chris Hemsworth flew over to Atlanta for The Avengers 4 reshoots. The actor recently updated his Instagram story to note he was heading back to MIB. Last we seen of Thor, he had attempted to kill the Great Titan Thanos in The Avengers: Infinity War, but failed as the Odinson should have gone for the head. Instead, Thor watched half the universe turn to dust. 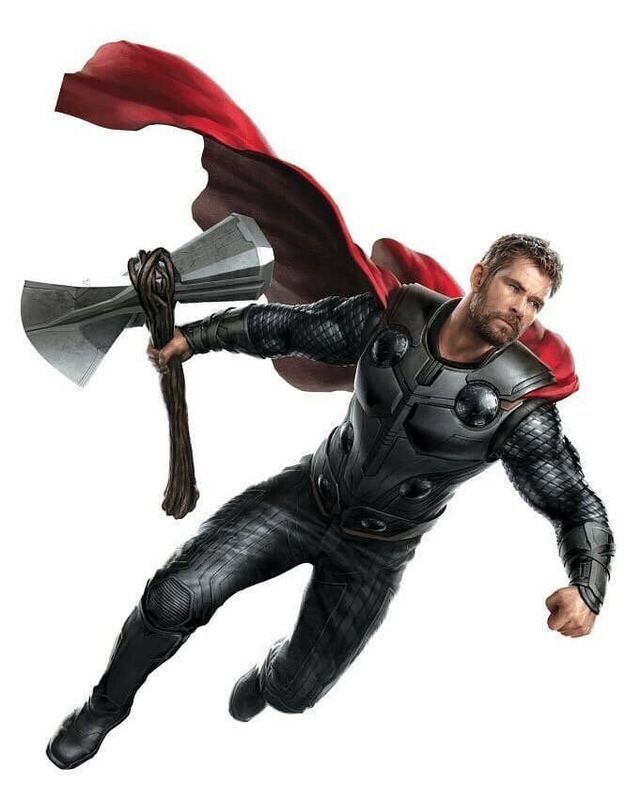 It's uknown what happens with Chris Hemsworth in The Avengers 4, but he apparently still does have Stormbreaker, a weapon that is capable of fending off even the mighty Infinity Gauntlet. While it hasn't yet officially been announced, The Avengers 4 is thought to be the last time we'll see Chris Hemsworth as Thor due to his contract with Marvel Studios ending, with the same going for Robert Downey Jr., Chris Evans and the other original Avengers actors. Who knows? Maybe Chris Hemsworth will sign a new contract with Marvel as he has said he does want to do a Thor 4. "Two days I ago, I was in Atlanta finishing Avengers in my Thor garb," Hemsworth told USA Today back in February. "It's really been two years of non-stop. I'm exhausted, but good. Contractually, right now — yeah, this is it. I’m done. I won’t be playing the character again. It’s sort of a scary thought. This really seemed like this never-ending thing. And now it’s potentially finishing... [Thor 4 is] a conversation for further down the road, if it was going to happen." It recently became known that Thor: Ragnarok director Taika Waititi took a meeting with Marvel Studios, which many people felt was to see if he wanted to direct Guardians of the Galaxy 3, but maybe it was for Thor 4? Waititi has shown interesting in a sequel to Rangarok as well. Chris Hemsworth made his MCU debut back in 2011 with the first Thor movie, followed by The Avengers in 2012, Thor: The Dark World in 2013, Avengers: Age of Ultron in 2015, an appearance in Doctor Strange in 2016, last year's Thor: Ragnarok and this year's The Avengers: Infinity War. The Avengers 4 has a May 3, 2019 release.